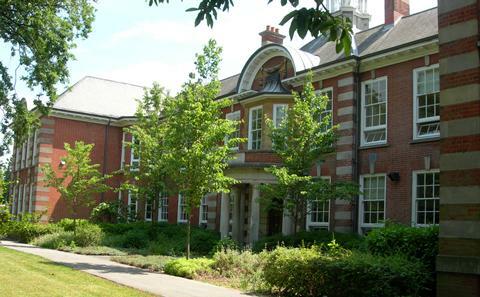 Film Studies at the University of Southampton is well-established, having been running for 15 years. The MA programme is a solid and challenging degree course, one of the most distinctive features of the programme is its emphasis on the transnational and global perspectives on cinema. The programme is taught by scholars of international standing, and has an outstanding record of research and publication, including topping league tables for best film department in the UK in The Guardian and for research in the national research assessment of 2009 (under European Studies). The MA in Film Studies degree provides opportunity for you to examine the evolution of cinema, from classical film theory to post classical and current issues in film distribution. This masters course can provide valuable insights into the movie industry and take you on a career path that can lead to rewarding professions in the arts and media industries. The MA programme in Film Studies provides a flexible course of study which concentrates on a considered and theoretical approach to methods of research, while embracing precise textual analysis and film history as well as offering a choice of options to suit your own interests. The MA Film Studies programme is designed to equip you with a range of practical and intellectual skills that will enable you to complete your degree successfully, and put you in a good position to gain employment in the arts and media industries. Academic entry requirements: First or upper second class honours degree, or an equivalent standard in other qualifications approved by the University in an arts-related subject. You will be encouraged to develop your own research interests, applying the skills and resources you acquire during the programme. At the same time, we foster a collaborative ethos in which students exchange knowledge and ideas. The emphasis is on progression towards shaping the direction of your degree yourself, rather than relying on your tutors to set the agenda for you. The programme comprises six taught modules (four core modules and two options) plus a dissertation. Full time students will take all taught modules during two semesters and complete their dissertation by the following September. Part time students will take taught modules during four semesters, and complete their dissertation by the September of year two. Teaching and learning takes place through a variety of student-centred activities, mainly focused on seminar discussion, supported by one-to-one tutorial supervision. Thinking skills are developed through activities such as seminar discussion, oral presentations, tutorial consultations, and through the essays and dissertation. As well as the use of web-based resources, wide reading and evaluation of secondary sources indicated on module reading lists are actively encouraged. The primary assessment method for testing your knowledge and understanding is a 4-5,000-word essay for each module, the topic normally decided in consultation with the module tutor. You will also be asked to demonstrate your key skills through participating in individual and group presentations, class exercises, essays and the dissertation. The 20,000 word dissertation is a core element in establishing the acquisition of appropriate skills and the application of research techniques. Your supervisor will be available to provide regular and supportive advice, guidance and feedback on your progress.